There’s only one way to effectively halt the progressive damage of periodontal (gum) disease — completely remove the bacterial plaque and hardened deposits (calculus) from above and below the gum line that are causing the infection. Although we can accomplish this in most cases with hand instruments called scalers, ultra-sonic equipment or both, some cases may require periodontal surgery to access and clean deeper “pockets” of infection. As this damaging disease progresses, the supporting bone dissolves and the gum tissues will begin to detach from a tooth, leaving an open space known as a “periodontal pocket.” Besides plaque and calculus pus may also form as a result of the infection. All of this material must be removed from the pocket before healing and, hopefully, tissue reattachment can begin. Shallow pockets near the gum line are usually accessed and cleaned with hand instruments. But deeper pockets (5 millimeters or greater in depth) may require a surgical procedure to completely clean the area also allowing for regenerative procedures to be done to regain attachment. This will reduce the depth of the periodontal pockets that will make them more accessible for future cleanings and maintenance. Flap surgery is a common type of such a procedure: a small opening (similar to the flap of a letter envelope) is surgically created in the gum tissue to expose the area of infection around the tooth root and bone. There are also other types of periodontal surgery for repairing and stimulating regeneration of damaged gum tissues. Using grafts or other enhancements, these plastic surgical techniques are especially useful where gum tissues have receded above the natural gum line, leaving more of the underlying tooth below the enamel exposed to disease. These procedures have become more effective in recent years with the development of specialized technologies called “barrier membranes” and biologic growth factors. These materials have allowed bone grafts to be more successful as this technology is engineered for targeted tissue growth and repair, and then dissolve at an appropriate point in the regeneration process. Periodontal surgery isn’t appropriate for every situation. 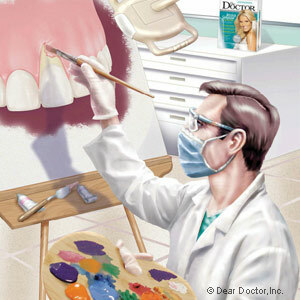 Still, these procedures do play an important role for many patients to put a halt to the damage caused by gum disease. In the winter months, when the daylight hours grow few, we celebrate the season with holiday lights and good cheer. This season of hope and renewal also gives us a chance to think about the future — to take stock of where we’ve been, and even plan for some changes in the new year. 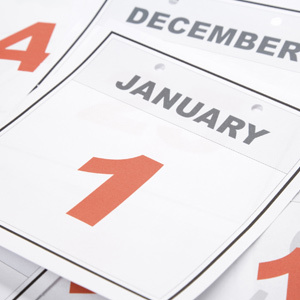 Deciding to improve your overall health is one great way to start off the year. Of course, we know many resolutions that begin with crash diets and extreme fitness programs won’t be kept up for very long. But if there were one permanent change you could make, which would both enhance your appearance and improve your health… would you do it? If you are missing teeth — or if you’re wearing dentures that aren’t working the way you’d like — then perhaps we can offer a suggestion: Consider dental implants. Besides being an obvious blemish on your appearance, missing teeth also create problems you can’t see. For one, it’s harder to eat a proper, balanced diet if you have trouble chewing certain foods, potentially leading to serious nutritional problems. For another, when teeth are lost, the bone in your jaw that used to surround them begins to deteriorate. This can cause you to have a prematurely aged look, and make you appear unhappy even when you’re not. Unfortunately, dentures don’t solve these problems — in fact, they tend to compound them. Many denture wearers report they have problems eating; some even say they eat better without dentures. And dentures don’t stop bone loss; in many cases, especially when they don’t fit correctly, they actually accelerate it. But there’s really no reason you have to get by with missing teeth. Since they were introduced some three decades ago, dental implants have offered people a better way to replace lost teeth. With implants, you can eat your favorite foods again, smile with complete assurance, and stop worrying about dentures that may fit poorly or slip out at the wrong times. Fixed solidly in your jaw in a minor surgical procedure, dental implants function just like your natural teeth. Their natural look and “feel” makes it easy to forget they aren’t the teeth you were born with. Best of all, they can last the rest of your life… unlike bridges or dentures. Because they offer a permanent solution, implants can be quite cost-effective in the long run. But the way they can restore your confidence and make you feel good about yourself isn’t something you can put a price on.